Subject to the Terms & Conditions and the Exclusions set forth below, for the term of the Warranty Period, An American Quartz Company, LLC d/b/a Dakota Quartz (“Dakota”) warrants a Dakota Quartz stone purchased from Dakota (the “Stone”) against manufacturing defects (the “Warranty”). REQUIRED REGISTRATION: Within (30) days after the initial installation of the Stone, the Original Owner must complete the Warranty registration at www.dakotaquartzllc.com/warranty registration. If the Stone is not registered, the Warranty Period shall terminate (30) days after the initial installation of the Stone. SOLE BENEFICIARY: The Warranty is only provided to the owner(s) of the single-family residence where and when the Stone was originally installed (the “Original Owner”). 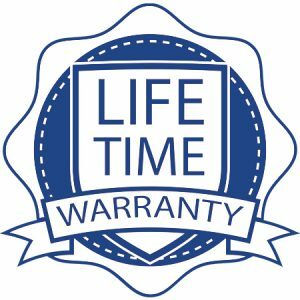 The Warranty is not transferable or assignable. DURATION OF WARRANTY: Upon registration as required above, The Warranty shall remain in effect for the lifetime of the Original Owner or until the Original Owner sells or otherwise conveys its interest in the single-family residence where the Stone was originally installed, whichever is shorter (the “Warranty Period”). EXCLUSIVE REMEDY: IF AT ANY POINT DURING THE WARRANTY PERIOD A MANUFACTURING DEFECT IS DISCOVERED, THE EXCLUSIVE RESPONSIBILITY AND LIABILITY OF DAKOTA IS TO REPAIR OR REPLACE THE DEFECTIVE STONE. THE DECISIONS THAT ARE MADE IN REGARDS TO THIS WARRANTY, INCLUDING THAT ELECTION, ARE AT THE SOLE DISCRETION OF DAKOTA. REPLACEMENTS MAY BE DIFFERENT, BUT FROM THE SAME RANGE AS THE STONE REPLACED. WARRANTY LIMITATIONS & WAIVER: TO THE FULLEST EXTENT PERMITTED BY LAW, DAKOTA DISCLAIMS ANY IMPLIED WARRANTY, INCLUDING THE WARRANTY OF MERCHANTABILITY AND THE WARRANTY OF FITNESS FOR PARTICULAR PURPOSE, AND LIMITS SUCH WARRANTY TO THE DURATION AND TO THE EXTENT OF THE EXPRESS WARRANTY SET FORTH HEREIN. FURTHERMORE, (1) DAKOTA AND ITS AFFILIATES SHALL NOT BE LIABLE FOR ANY INCIDENTAL OR CONSEQUENTIAL DAMAGES, INCLUDING DAMAGES TO THE PROPERTY (UPON OR IN WHICH THE STONE IS INSTALLED), ITS CONTENTS, OR LOSS OF USE; AND (2) DAKOTA SHALL NOT BE LIABLE FOR ANY DAMAGES WHICH ARE BASED UPON NEGLIGENCE, BREACH OF WARRANTY, STRICT LIABILITY, OR ANY OTHER THEORY OF LIABILITY OTHER THAN BREACH OF THIS EXRESS WARRANTY. AUTHORITY: No one (including Dealers, salesperson, distributer, fabricator, contractors, installers, or other person) is authorized to act on behalf of or bind Dakota in any respect, other than the delivery of this Warranty, based on the express terms herein. This Warranty may not be changed, altered, extended, or otherwise modified in any respect. OBLIGATIONS OF THE ORIGINAL OWNER: For Dakota to respond under this Warranty, an authorized agent of Dakota must be permitted sufficient time and opportunity to inspect the Stone, its installation, and use and to evaluate and respond to any claim. If the Original Owner(s) refuse to allow Dakota to conduct such investigation, or refuse to provide Dakota with any further information or documentation requested which is relevant to the Warranty, Dakota shall no longer have any obligation or liability for this Warranty. FINAL DECISIONS: Upon a final determination of coverage under this Warranty, Dakota shall issue its final decision in writing to the Original Owner (“Final Decision”). A Final Decision by Dakota, including a decision regarding the existence of manufacturing defects, the response or offer of Dakota, or any other items relating to this Warranty shall be final and binding. DISPUTE RESOLUTION: As a condition precedent to the issuance of this Warranty, Dakota and Original Owner agree that any controversy or claims relating in any way to the Warranty, its interpretation or enforcement, including a Final Decision, shall resolved by binding arbitration administered by the American Arbitration Association in accordance with its Construction Industry Arbitration Rules in effect on the date of the Agreement. A demand for arbitration shall be made in writing, delivered to the other party to the Warranty, and filed with the person or entity administering the arbitration. The prevailing party shall be entitled to recover its costs, including, but not limited to, reasonable attorneys’ fees and costs. A party shall not be considered a prevailing party unless the judgment on the merits is more favorable than the last written settlement offer it made more than thirty days before the commencement of the hearing. The location of the arbitration and any related hearings shall be Southhaven, MS.
GOVERNING LAW: The Warranty shall be interpreted pursuant to and exclusively under the laws of the State of Mississippi. If the Original Owner should discover a defect please follow the instructions provided on Page 2. If a defect is reported to Dakota, but not substantiated or otherwise covered by this Warranty upon investigation by Dakota, the Original Owner shall be responsible for all such investigation costs incurred by Dakota. The Warranty does not cover Stone for which Dakota has not received payment in full. Proof of payment to Dakota is required. The Warranty does not cover Stone purchased from Dakota that has not been permanently installed in a single family residence. The Warranty does not cover Stone used for any type of commercial purpose, including, but not limited to, use in a store, rental properties, offices or any other places of business. The Warranty does not cover the Stone if the Original Owner rents, leases, or does not personally reside in the property where the Stone is installed. The Warranty does not cover the transportation, shipment, fabrication, or installation of the Stone. a. Failures due to fabricators/installers not following industry standards for proper fabrication and installation. b. Any defects that were visible at the time of the fabrication and were not avoided during fabrication. All fabricators are required to perform a visual inspection of all Stone prior to fabrication and again before the installations. c. The bending, curving, or other creative use of the Stone during or after installation. d. Any type of laminations applied to the Stone. e. The appearance or performance of a joint. f. Stone that has been milled or reduced in thickness. g. Stone installed as flooring or wall material. h. Stone installed in any outdoor application, where it can be exposed to weathering or ultraviolet radiation. Including backyards, use in or around swimming pools (Indoor or outdoor), spas, or any other places where it could be exposed to chlorinated water. i. Stone installed adjacent to any type of fireplace. The Warranty does not cover defects with the Stone manifesting themselves because of improper installation or support. The Warranty does not cover the Stone if it has been removed or moved from the location at which it was first installed. This Warranty does not cover Stone subjected to damage due to mishandling, irregular use, misuse or physical or chemical abuse or exposure, direct or sustained heat or cold or sudden or rapid change in temperature or thermal shock (Thermal shock can occur when a hot an, dish or other receptacle or object left on the countertop for more than a brief period), exposure to any type of chemicals, force, pressure or loading applied from a person, utensil or object, including but not limited to cracks, chips or other excessive impact damage in the Stone. The Warranty does not cover scratches in the Stone. Dakota Stone is a very hard material and highly scratch resistant but not scratch proof. The Warranty does not cover any damage caused by exposure of the Stone to improper use, abuse, excessive force or abrasive or corrosive substances and wear and tear on the Stone. The Warranty does not cover the natural conditions and variations in the Stone. The natural conditions and variations include those described below. The Warranty does not cover any natural variances in color, shade, size, shape and distribution of the pattern of the natural quartz or the natural variations in background tone. Dakota Stone is intended to have a natural and non-uniform appearance. The Warranty does not cover any spots or blemishes smaller that a (25) quarter piece. A certain level of spots or blemishes are inherent in the manufacturing process and do not affect the structural integrity of the Stone. The Warranty does not cover any Stone fabricated or installed outside the forty-eight contiguous states in the United States of America. The Warranty does not cover transportation, freight, tear-out, and demolition in any form, disposal and reinstallations, fabrication or associated costs. The Warranty does not cover defects, any damage or injury caused by any acts of God, architectural and engineering design, structural movement, acts of vandalism, or other intentional or negligent conduct. All Dakota Quartz Products are manufactured from natural materials. Each quartz slabs are unique and will contain variations in shading, reflectivity, and the distribution and appearance of the quartz. These variations are naturally occurring characteristics of the material. The appearance of each slab will also vary depending upon lighting conditions, placement, and viewing angle. The Products are manufactured to a thickness tolerance of +/- 1.5mm, with bowing of not more than 2mm over the length or width of the product when properly installed and supported. • Date of purchase or date of installation, whichever is earlier. Submit a $100 check (cash not accepted) for an inspection fee. (“Inspection Fee”). The Inspection Fee is not refundable unless the defect is covered by this Warranty. However the Inspection Fee may be used by Owner as a $100 credit toward the purchase of a replacement Stone. A Dakota customer care representative will contact you, once your claim is filled.